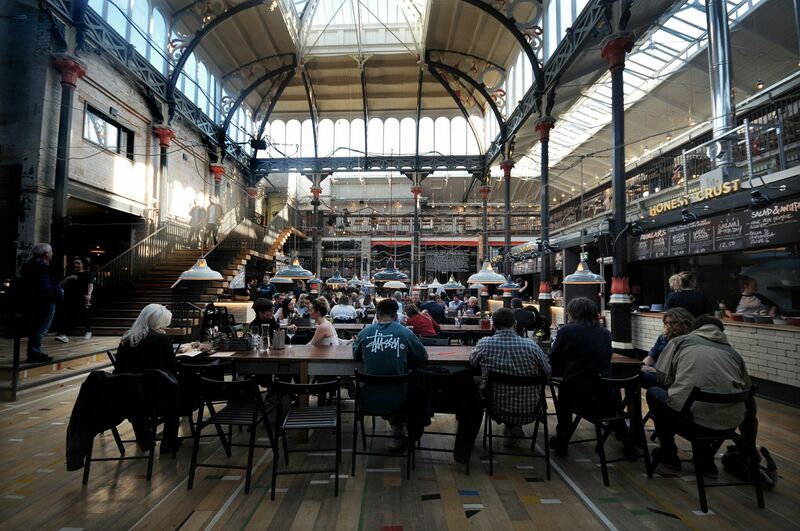 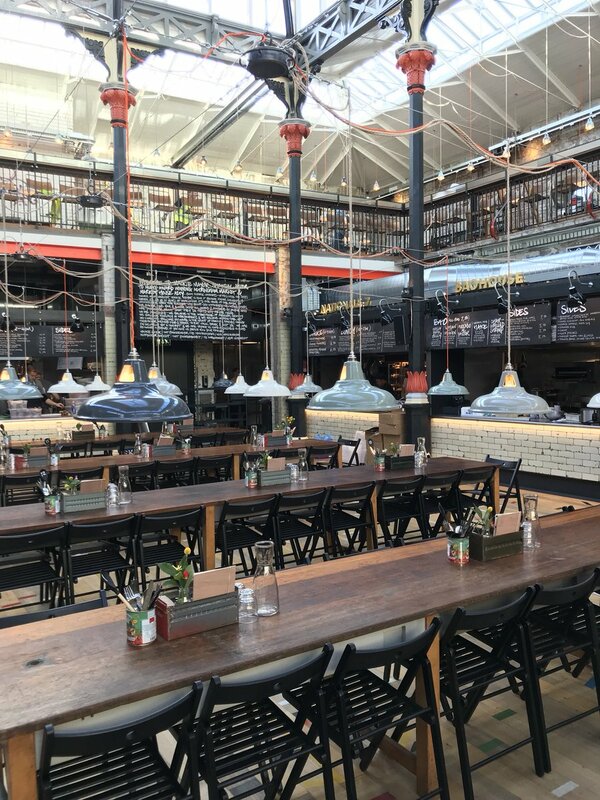 Artifact Lighting recently provided the pendant lights for a Manchester based food market. Situated in Manchester’s Northern Quarter, the new Mackie Mayor Market has taken over a grade II listed building, originally built to hold the flagship meat market in the 1850s. The space is filled with vintage inspired industrial features, including over 200 of our pendant lights. 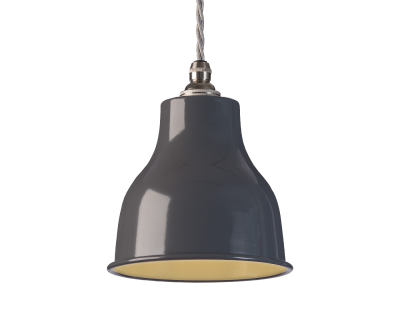 Back in April 2017, Market Operations contacted Artifact Lighting because they were looking to use our factory style pendants. 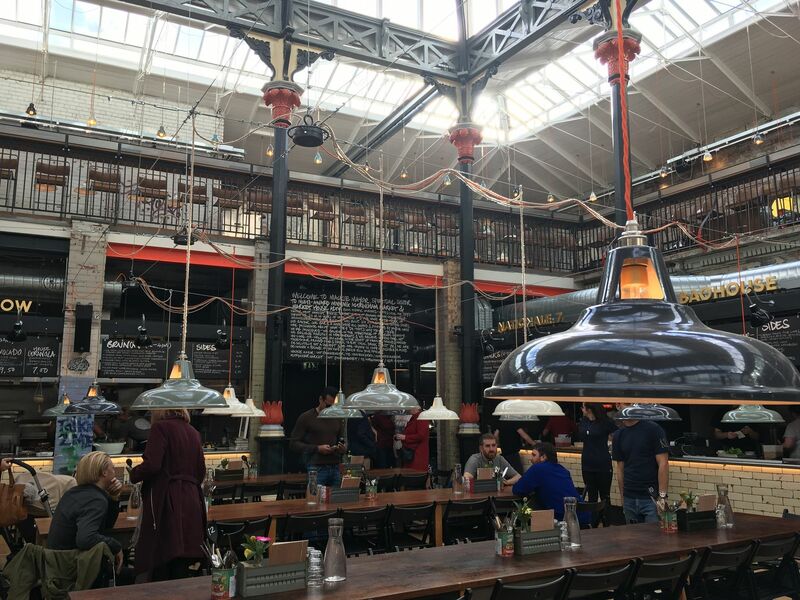 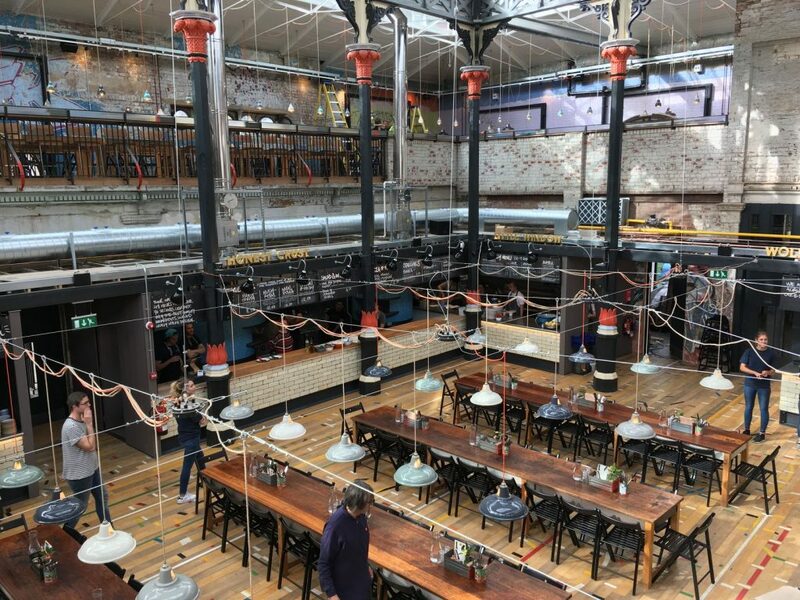 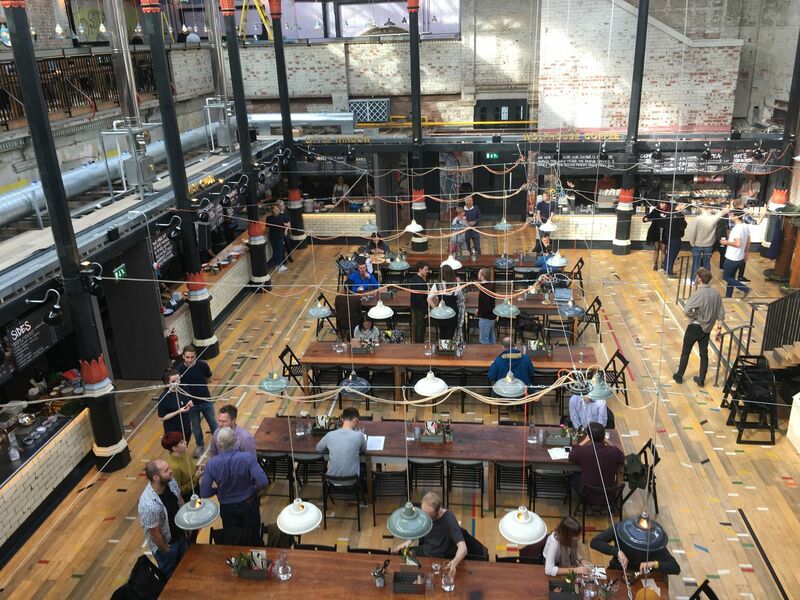 We worked with them to supply our Coolicon, Supersized Coolicon and Small Factory Pendants in a variety of our stocked colours and it is great to finally see them in place within the finished market hall. 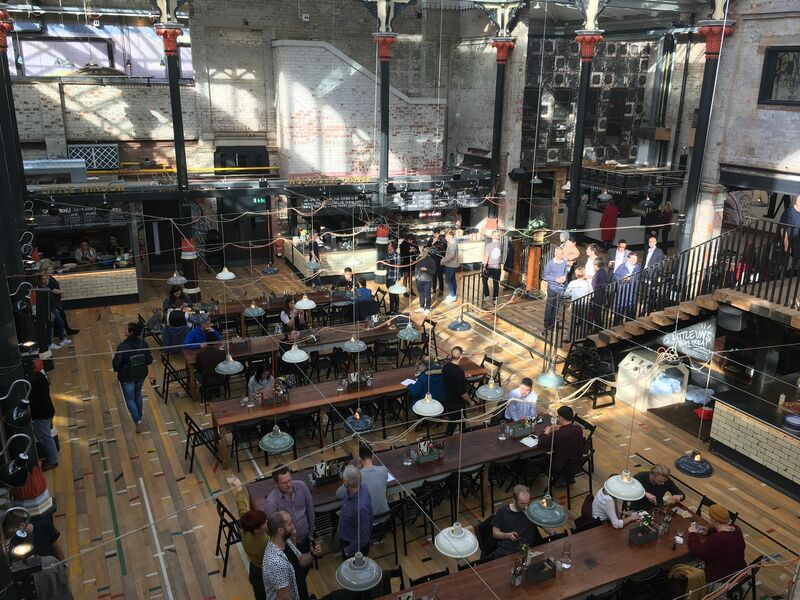 On the ground floor, our Supersized Coolicons in Mid Grey, Dark Grey, Olive Grey and Ivory hang in rows of five over long benches, adding to the factory-like atmosphere of the informal dining style. 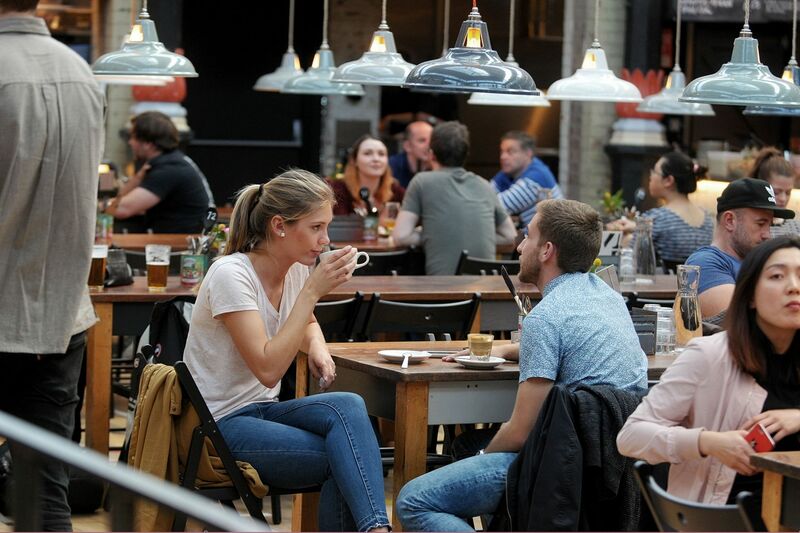 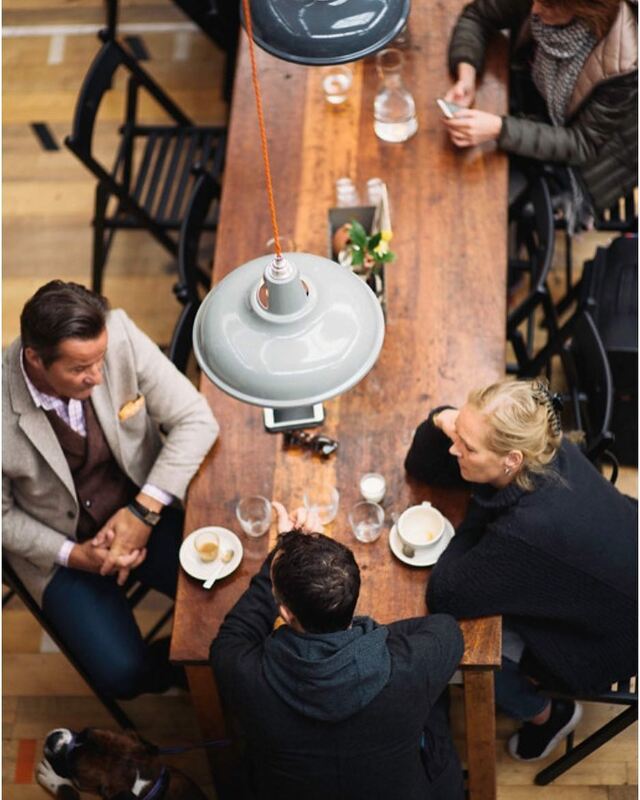 Our standard Coolicon Pendants sit above smaller tables. 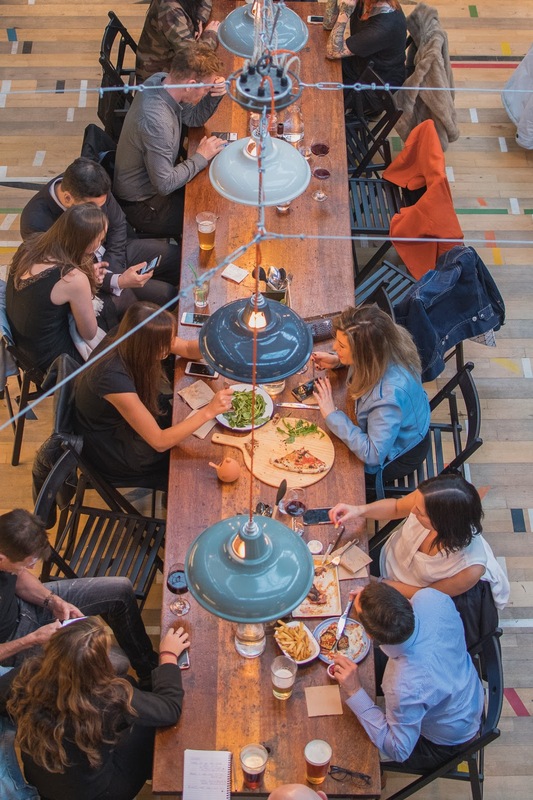 They create a more intimate mood with one pendant suspended over each table, providing a soft spotlight effect. 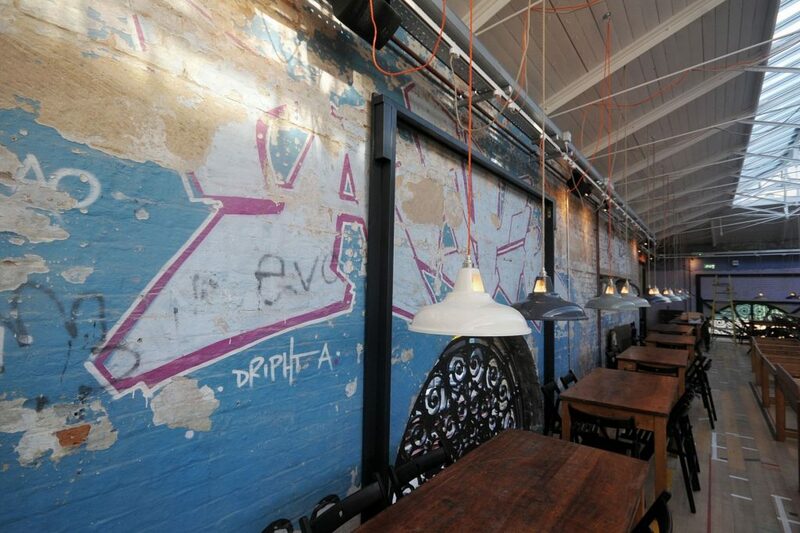 Small Factory Pendants hang low over counters on the mezzanine level, overlooking the seating below. 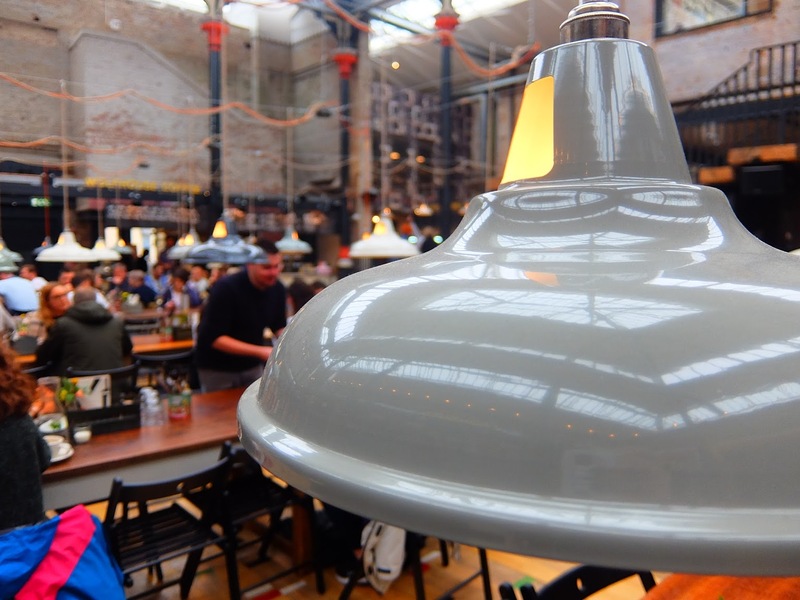 We designed these pendants to reflect antique factory task lamps. 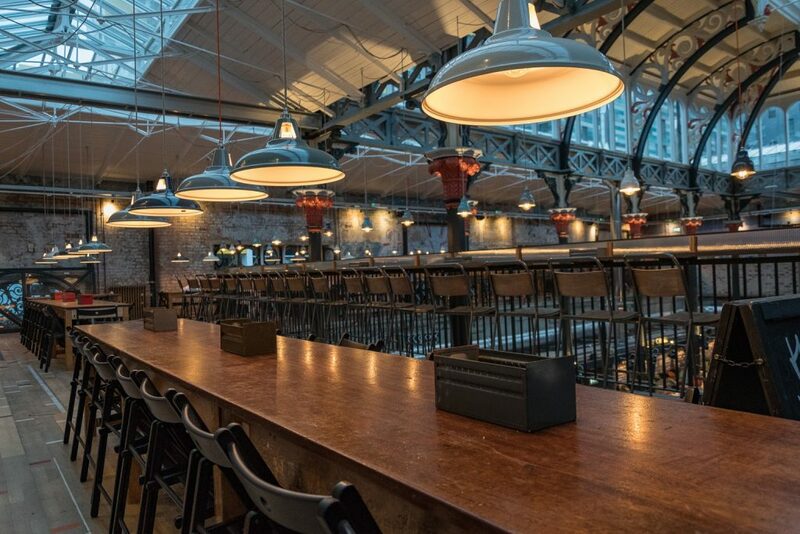 These industrial shades are finished in contemporary colours, therefore making them perfect for this historic location that has been given a new lease of life. Our vintage inspired fixtures complement the Victorian architecture of this historic building. 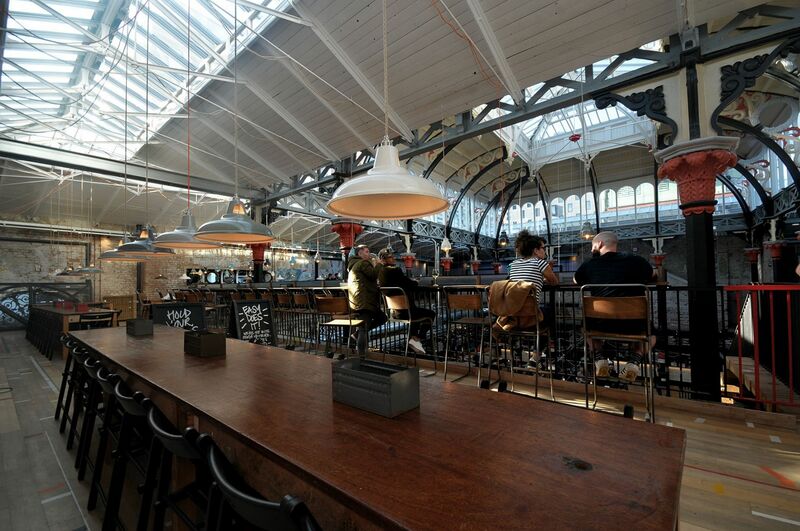 All elements come together to form a unique venue full of character in a city with great industrial heritage.